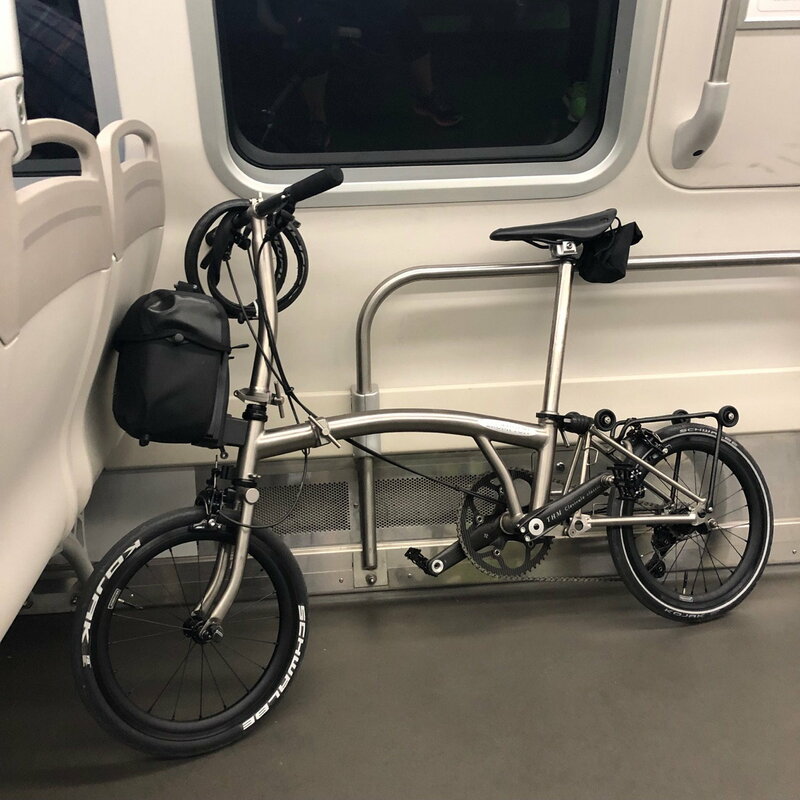 I have ridden my full titanium bike for more than two years. It is a 4-speed (11T~13T-17T-21T). The weight is about 7kg. I ride the bike in the hilly San Francisco about once a week. Never have any issue if you don't count flat tyre as one. However, I don't recommend people to buy one. The Brompton OEM main frame is really not that heavy. If you want, you can still build a 2-speed Brompton below 8kg. The biggest problem with those 3rd party main frame is you might experience some compatibility issue when building your bike. Some of them are easy to be fixed but some of them are not. If you really want to buy one, just remember to build the bike as soon as you get it. If you find any problem, just return it. Buy from ebay, not Alibaba so if there is any problem, eBay can still protect you and help you to get your money back. Last edited by Brompton_X; 03-10-19 at 08:42 PM.